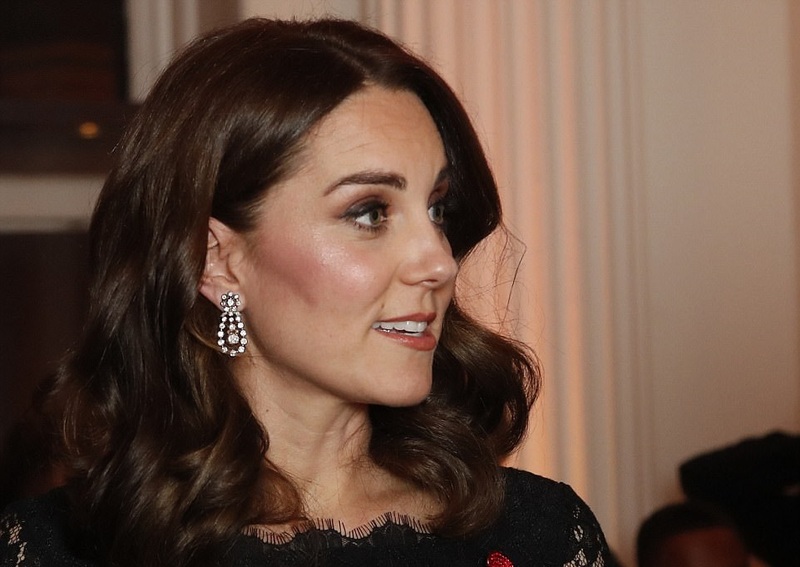 Last night Duchess of Cambridge Kate was the Guest of Honour at the gala dinner honour of The Anna Freud National Centre for Children and Families. The dinner was hosted in The Orangery at Kensington Palace. As per the Court Circular the Duke and Duchess of Cambridge attended a charity lunch function for The Royal Foundation earlier in the day. The event was hosted to celebrate the new £39 million Centre of Excellence currently under construction on Rodney Street in Islington. The Centre of Excellence will for the 1st time bring under 1 roof, the very best of science, education & mental health support for families. The conceptual model of the centre was exhibited last night. Kate Silverton broadcaster and child mental health campaigner was the compére of the evening. 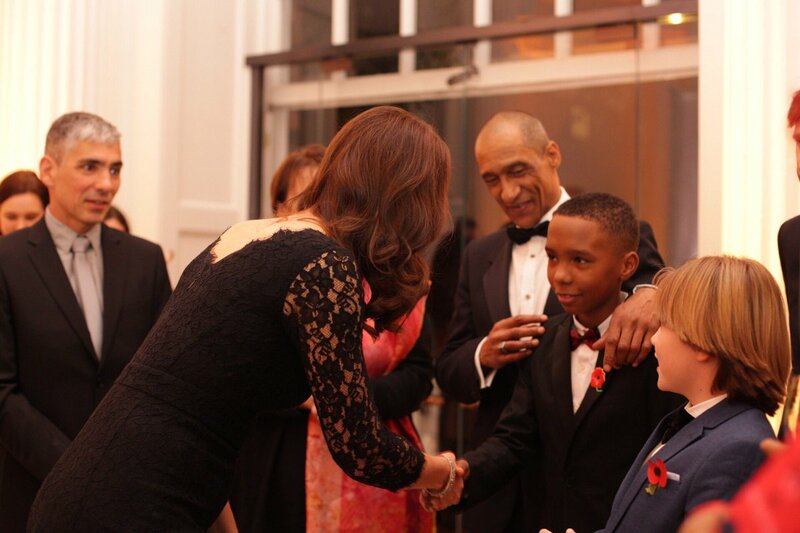 The Duchess met key supporters of AFNCCF at a reception, including families who benefit from the charity. Kate greeting the guests and the families supported by the charity. For her first Gala of the season, Duchess brought her elegant Diane von Furstenburg Zarita Gown back. If you remember we saw this gown in 2014 at Royal Variety Performance when Kate was expecting Charlotte. 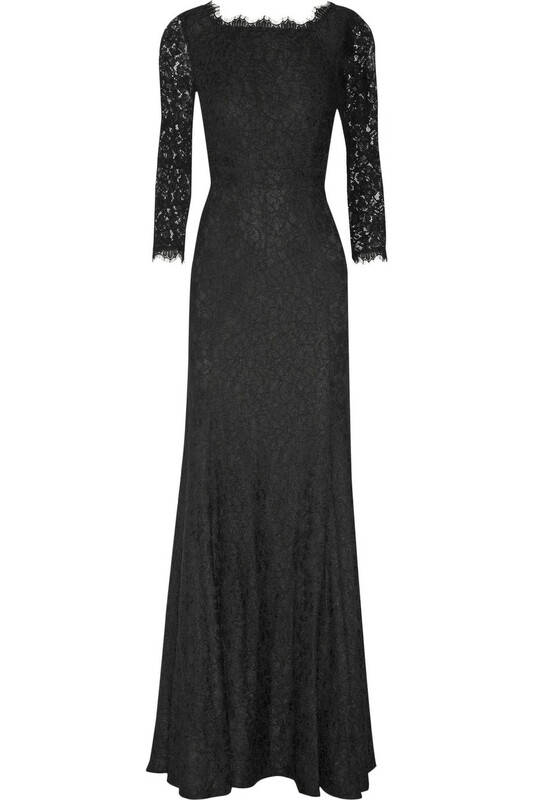 The black delicate lace gown crafted from sheer lace has fitted bodice and waist with fluted hem. Gown features a subtle waistline with front neckline in boat shape with back deep vee neck. A look at the elegant gown. Duchess paired the gown with Queen’s dazzling diamond pendant earrings featuring a pendant of separate stones hanging within a diamond frame. Duchess premiered diamond Quatrefoil bracelet last night on loan from Queen. Kate was seen carrying black Prada clutch and supported Buckley poppy.